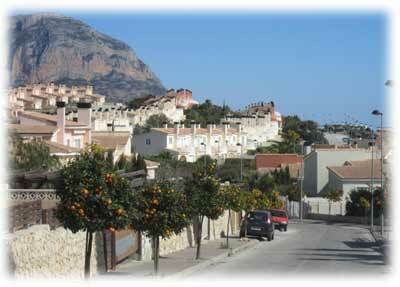 Gata Residencial together with Gata Park make up an urbanisation of 650 houses with sea and mountain views on the outskirts of Gata de Gorgos in the Marina Alta area of the Costa Blanca. There are two types of houses, all originally built with 3 bedrooms. Detached houses on a plot of approx. 600 sq. m. Most have a pool. Link-detached houses with communal pools. There are currently 11 groups of houses of this type. The communities manage their own communal property including the gardens and pools. Each house has its own garden. The utilities such as water, electricity and piped gas are well-established. Internet and telephone are available from several ISPs. Map of the pueblo of Gata de Gorgos. The resident's association has been formally registered (statutes) since 2008 and is actively supported by the majority of owners (more than 300 households) who participate in events. The association has a book exchange, organises regular Ladies’ lunches, local walks and petanque sessions and also ad hoc events. The Social Team has a Facebook page and organises regular Quiz nights, Barmy Bingo and the annual Party in the Park. There is an internet discussion forum linked to the Spanish Neighbourhood Watch. We like to keep our streets and public areas tidy. See here .